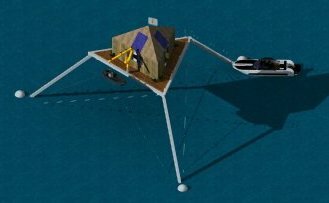 Similar to my post, Quadbike for Driving on the Ocean, someone tried to make a large vessel in the lake 1800s that drove so fast it would hydroplane. It was called the Roller Ship. It did not work back then. There is more on the history here. I suspect that with far better engines today one could make this work with 4 big wheels. It is interesting, but not sure it would make sense. 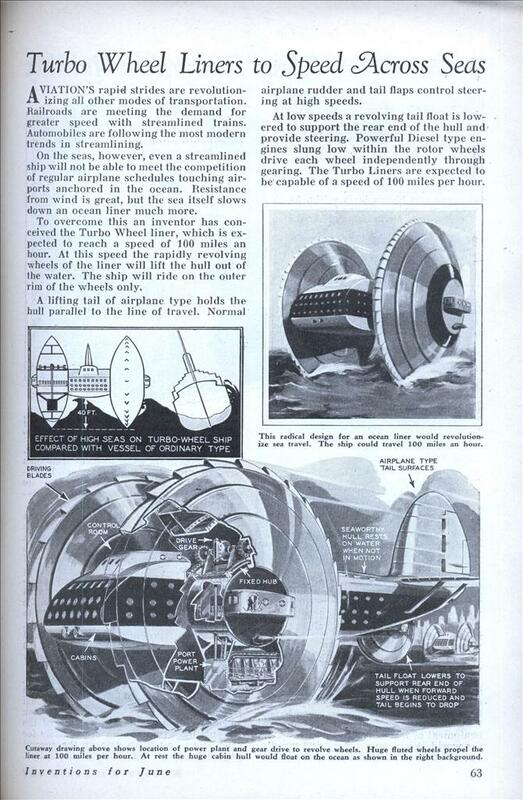 In the 1934 there was a Modern Mechanix article with a similar idea. At high speed it would run on 2 big wheels, a 3rd tail wheel would touch at slower speeds. They were thinking like 100 Mph. At that kind of speed waves are so slow you can drive at a location and angle to make the ride easier.